As a manufacturer of highly precise developed products the name SELCO stands for high quality for more than 30 years now! Not only has reliability of our products proved this statement. SELCO also shows that we know our core processes and that our organisation strives for consistency and a high quality standard in every function. SELCO products are based on standard components providing long term durability. They carry the CE label and have been thoroughly tested. Furthermore the products have been approved by the major marine classification societies. 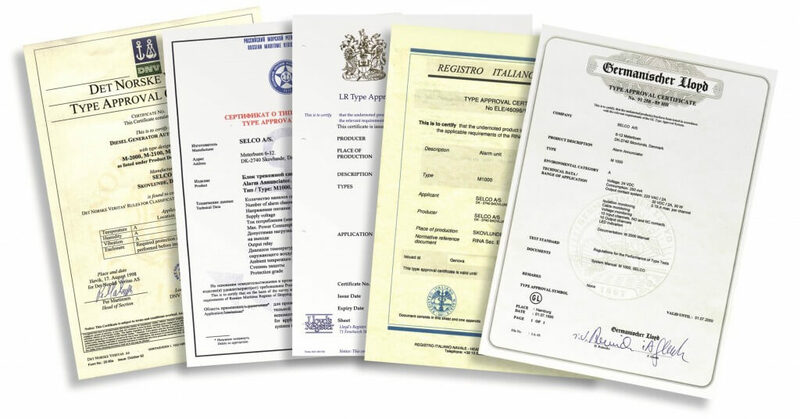 Please find the approval certificates available under each product in the Products section. SELCO’s research and development team continuously maintains and further develops our line of products for the purpose of providing zero solutions with regard to the contents of chemicals and other hazardous substances. Our production team as well as all related suppliers are continuously evaluated to ensure that SELCO products are always produced in the best possible way to meet all international environmental requirements. It is our goal to develop products and provide the market with solutions that will contribute to reducing the global resource consumption. Our customers demand environmentally friendly products as well as services and of course SELCO will meet these requirements.